Since the beginning of the iPad, there has been the Dodo iPad case. Known for it’s unique center, a hand cut bamboo frame. 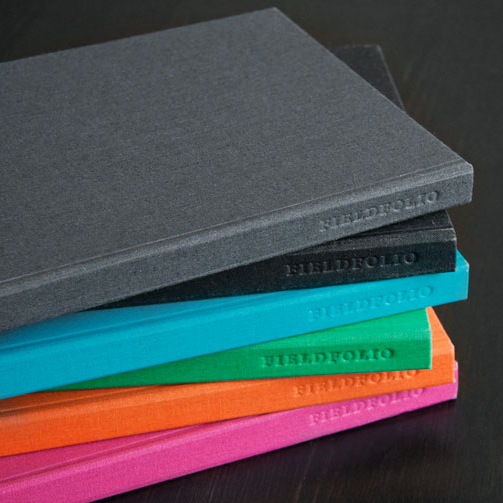 Fieldfolio has jumped in with a iPad2 with a more modern book outer and a precision cradle. The cradle holds the iPad2 snuggly. Providing openings for the sun cable, volume and even the camera on the back. The colors appear very vibrant, a plus for us folks that like the bright books on our shelves. Since the outer is cotton-blend bookbinding linen over recycled board, it should wear similar to a hardcover book. We will report back here on the Fieldfolio case after we have a couple months usage behind us.